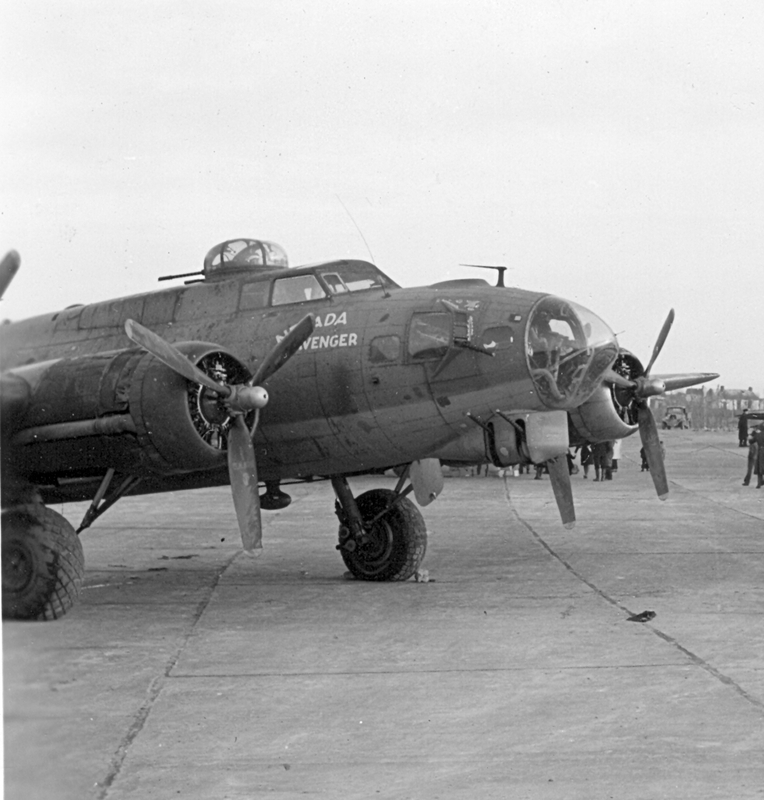 The 384th Bomb Group Mission 178 was also known as Eighth Air Force Mission 545. The Buslee crew flew this mission aboard aircraft 42-38013, Nevada Avenger. The primary target was German Air Force (Luftwaffe) Airfields in La Perthe, France. A repeat of the same Buslee crew members from the prior two missions, and right on the heels of Mission 177 the day before. Most of the Buslee crew would get a twelve-day break after this mission and not fly together again until August 24. Co-Pilot David Franklin Albrecht would fill in on the Raymond J. Gabel crew on the August 18 Mission 182 to Vise, Belgium during the break.